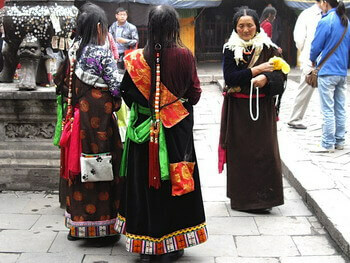 The travel blog Ethno Travels helps you to prepare your next trips abroad and to travel closer to people and cultures. Aware of the difficulties and fears that can arise when you have never or rarely travelled independently, I take advantage of each article to give you advice adapted to your destination. If you wish to read it as a classic blog, you will find below the last articles. But to help you find the right content, the blog is organized into several categories, as described. As I don't have time to write about all my travels, don't hesitate to check the World map of my travels to see if I know your next destination. Cheap and safe travel Tips: Here you will find tips to organize your first trip and reassure yourself, travel anecdotes and lessons learned, tips to save money on the price of your airline tickets, the best airlines, the best travel accessories, the sites to use to prepare your trip (hotel reservations, flight comparators, airline websites). Backpacking China: Here you will find the stories of my two trips to China - Southeast and Hong Kong, the former Tibetan province of Amdo, Xi'an, Shanghai and Suzhou - as well as tips on how to make your trip easier. You will discover that you can travel alone to China without speaking Chinese. Travel Blog India: This is the most important category of the blog. 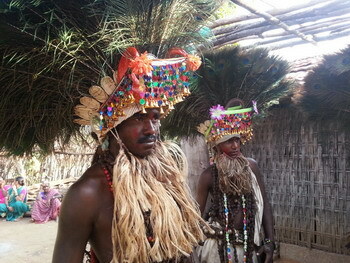 You will find a lot of information about the local tribes, the Adivasis, their festivals and customs. Central India, including the Bastar district of Chhattisgarh and Telangana, are widely represented as the country's tribal belt. But you will also find information about Tamil Nadu, Kerala, or Kashmir with Ladakh and Zanskar. The Northeast will also soon join this category. I also mention the problems linked to the Naxalite rebellion. Travel Blog Indonesia: Indonesia is the destination I recommend for a first trip to Asia or independently. I made my first solo trip out of Europe on the islands of Java and Bali, ideal places for an easy trip. For my second trip, I discovered the fascinating Torajan culture on Sulawesi Island then Selayar Island, near the 2nd largest atoll in the world, Taka Bonerate. I hope one day I will have the opportunity to return to Sulawesi, discover Sumatra, the island of Mentawai and Papua. 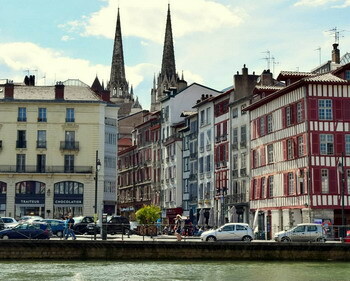 Visit the Basque Country in France and Spain: This section is dedicated to the region where I live, the Basque Country Landes, its culture, its festivals, its culinary specialities and of course the places to visit. If you wish, you can contact me for the organization of your trip since I rent an independent apartment for 5 people in my house and can also guide you around.